Tuesday - September 1, 2015: We have added a new review of Smitty's Carry Out in Kingman and added it to our Unique Kansas Restaurants. Smitty's Carry Out serves great burgers. They don't ask how you want them cooked and they all come well done, but they are juicy and flavorful. The hand formed hamburger patties are 1/3 pound and the options are up to a three patty, one pound sandwich. There is no extra charge for grilled onions. getting by with the Nikon D5200 Digital SLR camera plus the one in my Iphone. There are two many times when I want a long zoom or a high quality photo where the SLR just doesn't work. It is large, heavy and has several lenses. Plus the shutter sound is loud. So I ordered a Cannon SX60 on Monday and it came today. I was happy with Cannon Power Shot cameras in the past and expect to be comfortable with this one quickly. It is 16 megapixels (versus the 24 in the Nikon), but it has a 65X optical zoom. Probably the slowest thing for me to get comfortable with, will be the wifi. I can download an app to operate the camera from my phone. Saturday - September 5, 2015: I revisited Marshall Ensor Park and Museum. There have been a few changes since my first visit in 2006. The biggest change may be tours. In 2006 they were conducted by members of the Daughters of the American Revolution. Today the tours are conducted by members of Santa Fe Trails Amateur Radio Club (SFTARC) of Olathe and they are enthusiastic about Marshall Ensor and all of the things he was involved with. The tour took 2 hours! 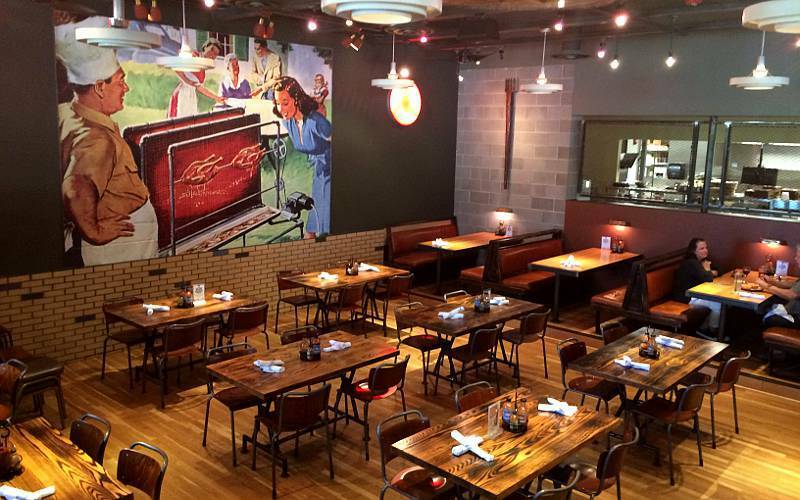 Lunch was at the new Blind Box BBQ in Shawnee, which opened just over a week ago. Of the dishes sampled, four stood out: pork ribs (both spare & baby back), BBQ street corn, onion straws and house made French fries. I liked the spicy rub on the ribs. The fries were my favorite item. None of the meats or sides were served hot. They were just barely warm. Sunday - September 6, 2015: Mary, Linda and I had lunch at Jarocho Pescados Y Mariscos in Kansas City, Kansas. The menu at Jarocho Pescados Y Mariscos is 100% about seafood. Other than the children's menu, there is nothing for someone who does not want fish or shellfish. I enjoy the food a lot, particularly the dishes like the fish fillet stuffed with garlic, onions, Spanish octopus, shrimp and blue crab meat. We went on to Tonganoxie to visit the Tonganoxie Community Historical Society Museum, which is a 4 building complex which includes a church and a schoolhouse which were relocated to the museum. Monday - September 7, 2015: We added a new page devoted to the Kingman County Historical Museum in Kingman, Kansas. 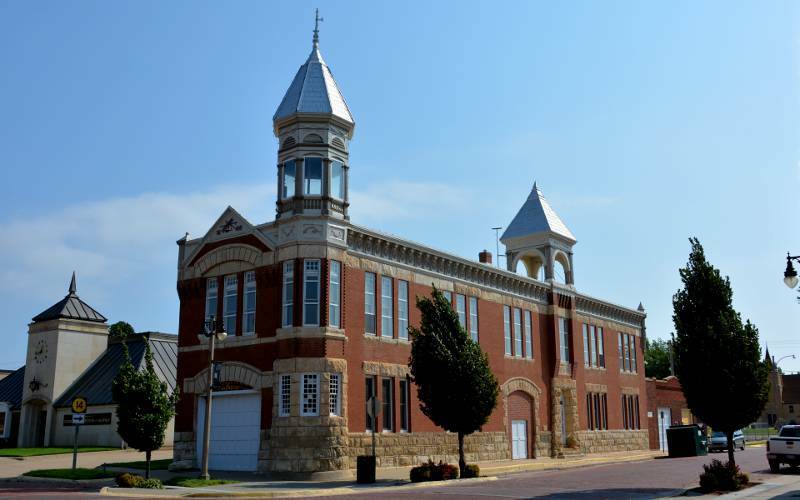 The museum occupies a beautiful 1888 building which served as a firehouse, jail and city hall. The building has two towers, a bell tower over the city hall entrance and an unusual fire hose tower where the cotton hoses would hang after use, so that they would not mildew. That tower is the reason the building was listed on the National Register of Historic Buildings. 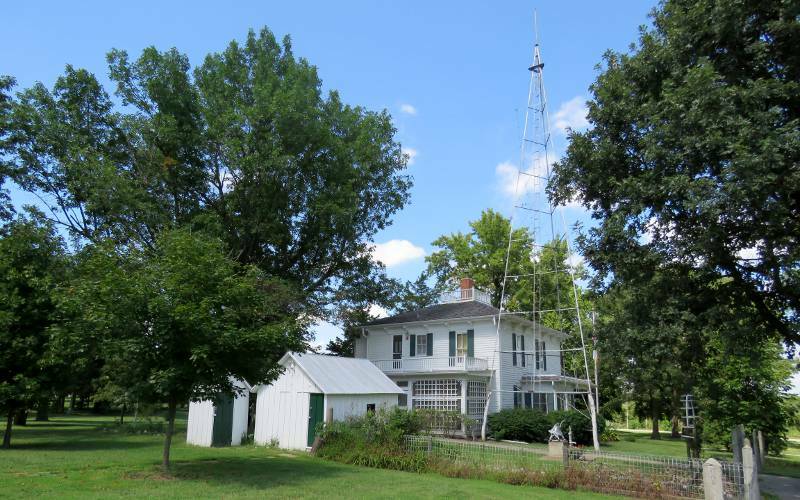 Tuesday - September 8, 2015: We added a new page devoted to the Tonganoxie Community Historical Society Museum. 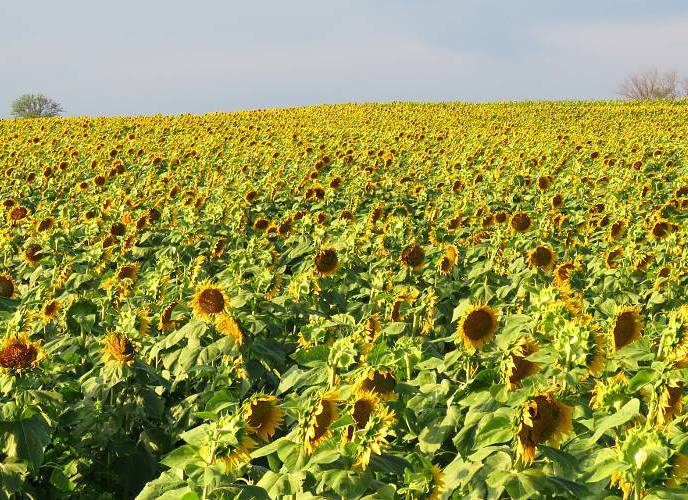 Thursday - September 10, 2015: Linda and I drove to Grinter's Sunflower Farm in Leavenworth County. The Grinters let the public come into the fields, take photos and take home flowers for a dollar a bloom. A great many people want to have their photos taken with the sunflowers. Professional photographers even schedule sessions here. We followed up with supper in Lawrence at Ladybird Diner. This restaurant recently reopened, after being closed for several months following a fire in the building. The diner is a cool building and we enjoyed a double cheeseburger and a chicken pie. The other pies which Ladybird is supposed to be famous for, did not impress us. Friday - September 11, 2015: We added a new "first look" review of Blind Box BBQ in Shawnee and a page about Grinter's Sunflower Farm. Saturday - September 12, 2015: For lunch I stopped by Town Topic Sandwich Shop in Mission, to update its review. In the afternoon, I toured Shawnee Town in Shawnee. Although the museum portion of Shawnee Town is minimal, several building have been moved here to recreate the 1920s farm community of Shawnee, Kansas. 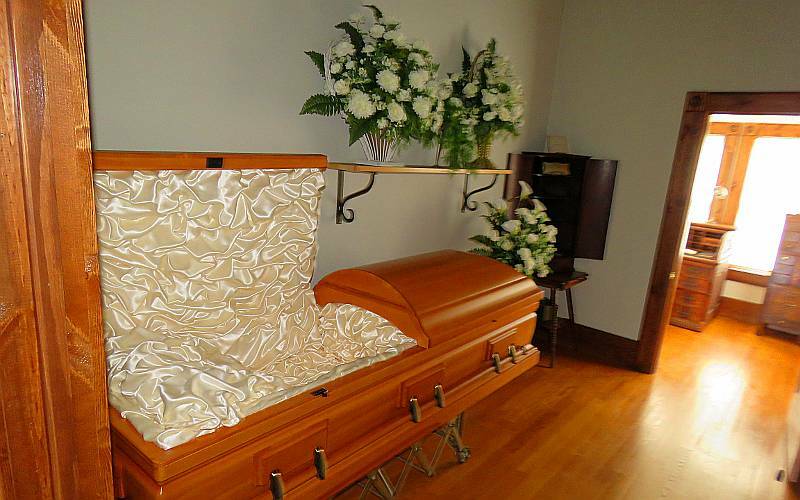 The most unique part of Shawnee is a funeral parlor, something I have not seen recreated in detail at any other Kansas museum. 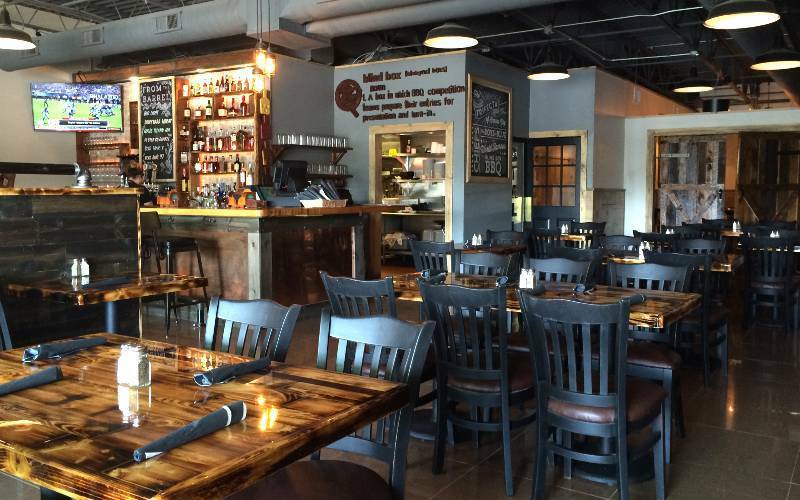 Saturday - September 19, 2015: Normally, we don't review Missouri restaurants, but the exception is BBQ restaurants for our Kansas City BBQ section. Today Linda joined me for the second meal at Char Bar, which opened in Kansas City, Missouri last November. The 7,000 square foot restaurant has a large outdoor beer garden with games, good food and an eclectic menu which will satisfy BBQ lovers and vegetarians. The classic burnt ends were my favorite and both the sausage and ribs were very good. The pulled pork was the only meat which I would avoid the next thing. Overall, the meats had good flavor from the smoking and rub. I felt no need to add sauce to anything but the pulled pork and brisket. A review of Char Bar has been added. Sunday - September 20, 2015: I had my second meal at Jarocho Pescados Y Mariscos in Kansas City, Kansas. This time I had the I had a camarones ahogados appetizer and langostinos a tu gisto. 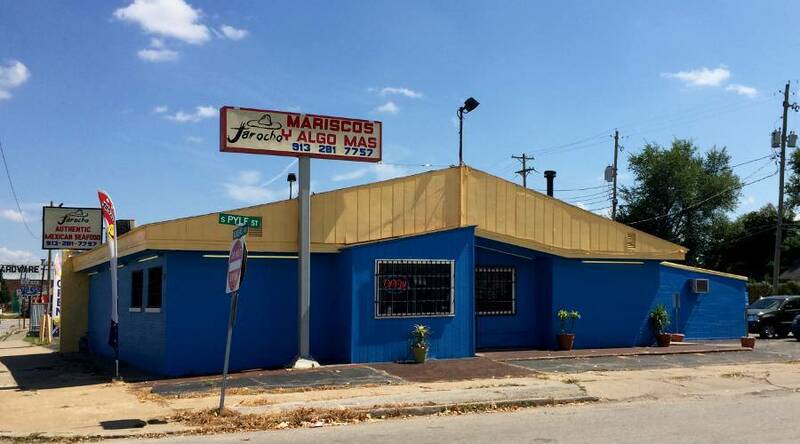 A new page about Jarocho Pescados Y Mariscos has been added. 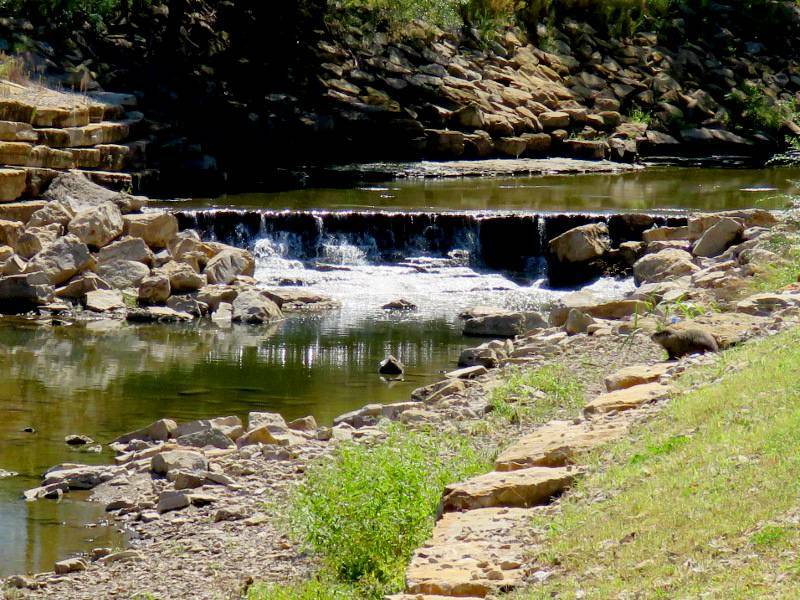 Following lunch I searched for more waterfalls along Turkey Creek, where we already have a page about Turkey Creek Waterfall Park. I found several new waterfalls, including this nice 7' drop near Merriam Christian Church, a block from the only Ikea in Kansas. The woodchuck on the right seemed to be enjoying the view as well.